We fell for the Perfect Bacon Bowl. Watch the video on their site. It’s hilarious. The PBB sounded easy enough. Lay 3 slices of bacon around a turned over muffin cup, pop it in the toaster oven and voila, a perfectly crispy bowl made of the king of breakfast foods. But no, ten burnt fingers later we had a floppy ball of bacon. Luckily we were able to salvage it by molding it like a clay pot and popping it back in the toaster oven for what seemed like a decade. 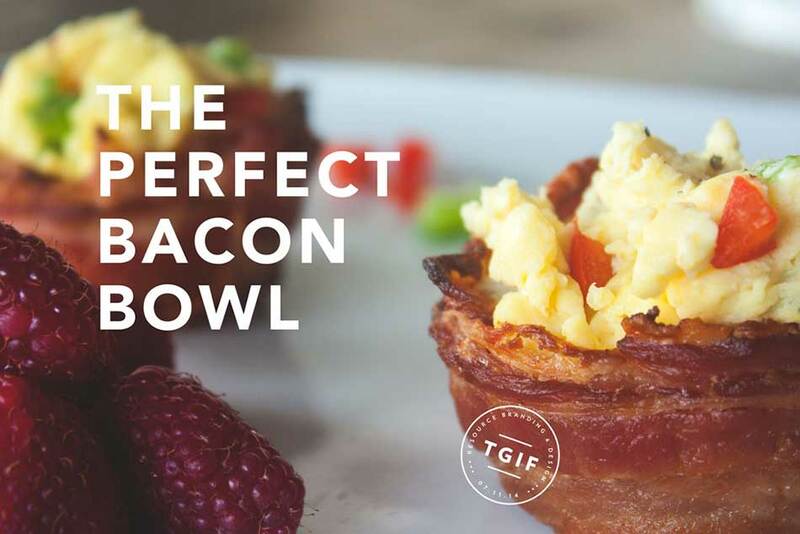 And oh yeah, be prepared to set aside a full morning to making the oh so delicious perfect bacon bowl. A special thanks to Instacart for making this all happen. They literally brought the PBB supplies to our front door and we loved it.